Al Havner & Sons Hardwood Flooring offer stairs installation and refinishing services for clients across Ypsilanti, Ypsilanti Charter Twp, Ann Arbor, Canton, Novi, Livonia, Warren, Sterling Heights, Troy, Auburn Hills, Ferndale, Berkley, Royal Oak, Farmington, Farmington Hills, Southfield, Madison Heights, Birmingham, West Bloomfield Township, West Bloomfield, Bloomfield Hills, Wixom, South Lyon, Rochester, Rochester Hills, Grosse Pointe, Grosse Pointe Woods, Grosse Pointe Shores, Dearborn Heights, Dearborn, Detroit, Bloomfield Township, Northville, Beverly Hills, Grosse Pointe Park, Grosse Pointe Farms, Michigan. Sanding and finishing stairs is one of the trickiest parts of floor sanding and we have the best stair sander that ever lived; my son Justin. 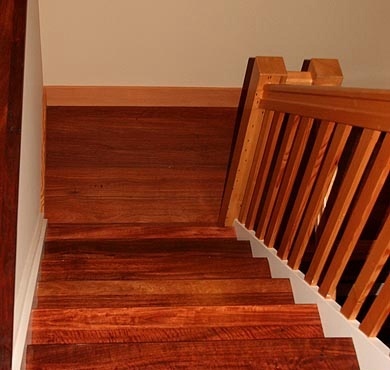 Stairs are fairly expensive to have refinished due to the amount of hand work involved as a good part of a great stair sanding job is all hand work. We install stairs as well, we have in our employ one of the finest trim carpenters you have ever seen; rightly named our stair god. Check out some of his work at the bottom of the page. Along with building stair systems we also do trim work, as with most hardwood flooring companies they're limited to just putting in typical stair treads. 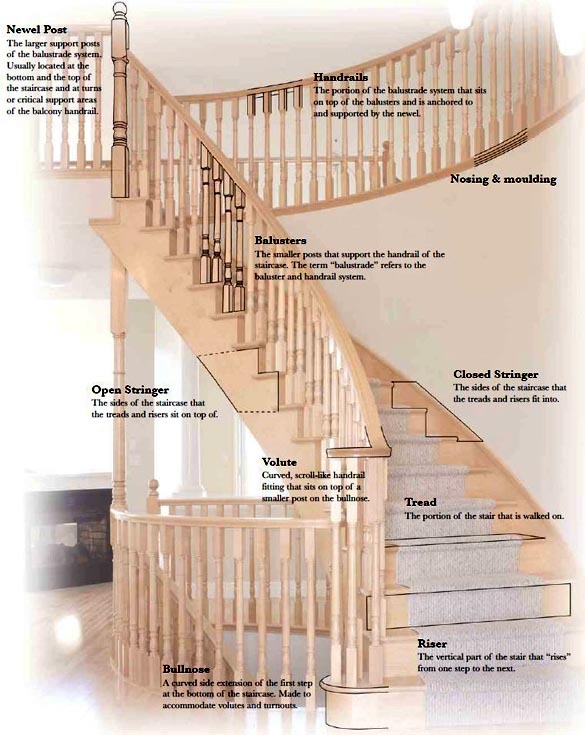 At Al Havner And Sons we do the entire system, newel posts, wood and iron balusters, and hand rails. Therefore you only have to hire one contractor to do it all. 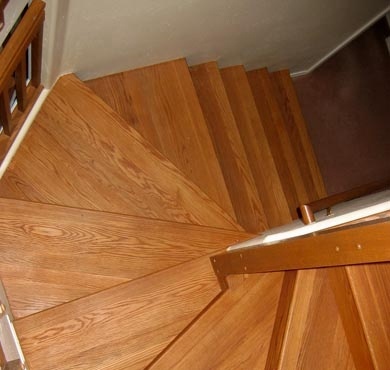 We have the ability to have custom made handrails and stair treads made from exotic woods to give you a unique stair system you wont find in any of your neighbors' home. Custom made prefinished stair treads are also available. One of the most often asked questions from our customers about stairs is how safe are they for little children? The answer? Very safe these days compared to years gone past. We have stair finishes formulated to meet the highest slip resistance standards. If you think about it you're a lot more likely to slip on carpet as opposed to wood with or with out a slip resistant finish on them. The only time we ever had one of our children crash land on our stairs was when our stairs were carpeted. When I removed the carpet, installed hardwood and applied one of the first generationnon slip stair finishes, we never had another crash landing. The first generation non slip finishes had a silica sand like substance in them that made them very rough to the touch. Today these slip finishes do not have this but are just as slip resistant as they ever have been.